We can offer safety solutions for even the most challenging situations. We professionally install products so that they function safely and conveniently. We can provide products that will work best for your needs, helping you avoid trial-and-error purchases and installation. 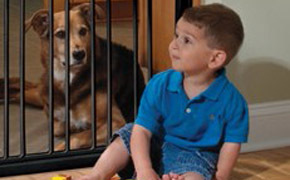 We can save you time by completing your childproofing quickly and efficiently. 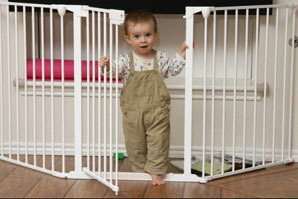 With over 13 years of experience installing thousands of safety gates and locks, we can help you choose the right product to babyproof your home. Send us a photo of your staircase or contact us to discuss your babyproofing needs.